Hi, I am Eric Rohm. I live in the Netherlands and I treat people from all over the world. I perform long distance healing and there is also a free self-help technique available, called NPL self-treatment, which can be applied anytime and by everyone in the world. NPL stands for ‘New Personality and Life’. If you consider starting with NPL distance healing, you can try this therapy first. When you buy a copy of the book on NPL, ‘Man and animal, victims of their subconscious mind, and the way to freedom‘, you can receive some understanding of what is being offered. While the distance treatment is performed on you, you can simply continue with your normal activities. Optionally, you can also give the NPL self-treatment a try before starting with the distance healing. The treatment takes place exclusively from a distance, this means that you are not present with the healer (Linda Evans) in person during the treatment. 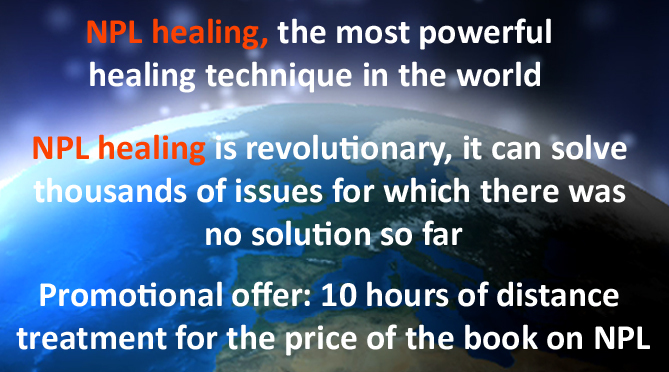 Such a process is called remote healing, distance healing, absent healing, energy healing, psychic healing … The treatment can go ahead after a contact by telephone or after having e-mailed a small video or a few pictures of yourself. You don’t need to travel. 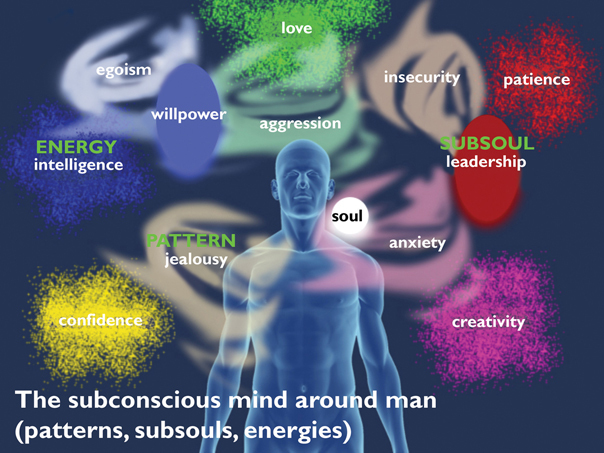 The subconscious mind surrounds the soul that incarnates into a body, and consists of negative (matter) and positive (energies/subsouls) elements. The subconscious mind determines your personality and life. More info on: NPL introduction. The NPL alternative healing method includes the possibility of NPL energy healing training for personal use (for treating yourself and your family – self healing) or for becoming an energetic NPL healer. 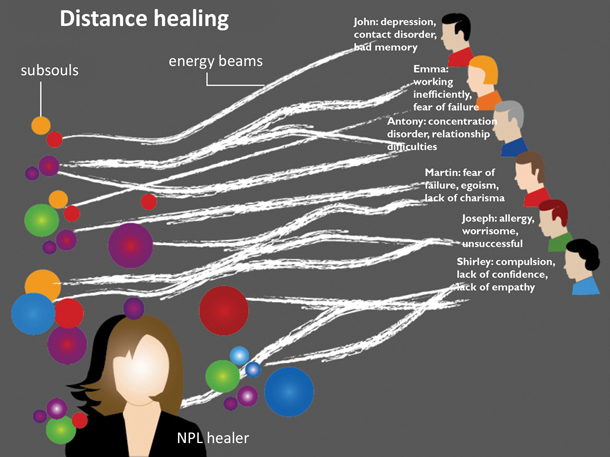 The training involves a lot of distance therapy in order to acquire NPL psychic healing abilities and some personal sessions for learning NPL psychic techniques. We may also recommend some cleansing herbs and supplements during this process which include South American maca, various microalgae supplements, and some grounding sagebrush for smudging purposes. Several people (from the Netherlands, USA, Spain) testify about the results of NPL holistic healing. The testimonies have been recorded on various occasions in the course of the treatment, both in the form of text and on video. In exchange these people were treated for free until all or most of their original problem issues were solved. You can find their problem description and a complete account of their progression by clicking on example treatments where also their identity is mentioned. The publication of real NPL energetic treatments aims to demonstrate both the effectiveness and the unique possibilities of this alternative energy healing treatment.